Happy, Happy New Year! Oh, how we have been looking forward to 2016. 2015 could not leave us fast enough. We had many, many trips to hospitals and doctors this year mostly for my husband and father. I also lost 3 members of my extended family. It was a very tough year and I'm so happy to move on. However, I did get a call from my mother about my dad at 5:45 this morning and was talking to a doctor before 8 and at the pharmacy when the opened. So that doesn't really signify a change our routine but I'm still hopeful that 2016 will be better. Accomplishments - doing this will make you feel extra good about yourself. With so much time devoted to health issues for my husband and father, I really didn't think I'd done much else. I've been pleasantly surprised as I go through my journals of the past year and find that I did actually do some things. One of which was get to 5000 subscribers on YouTube. That was a goal and I'm very thankful to all of you who helped me get there. Thank you. 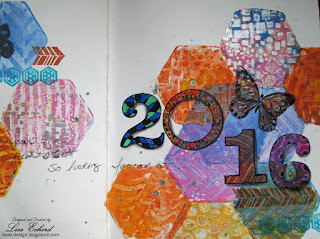 Today I'm hoping to work on my scrapbook page for the new year. 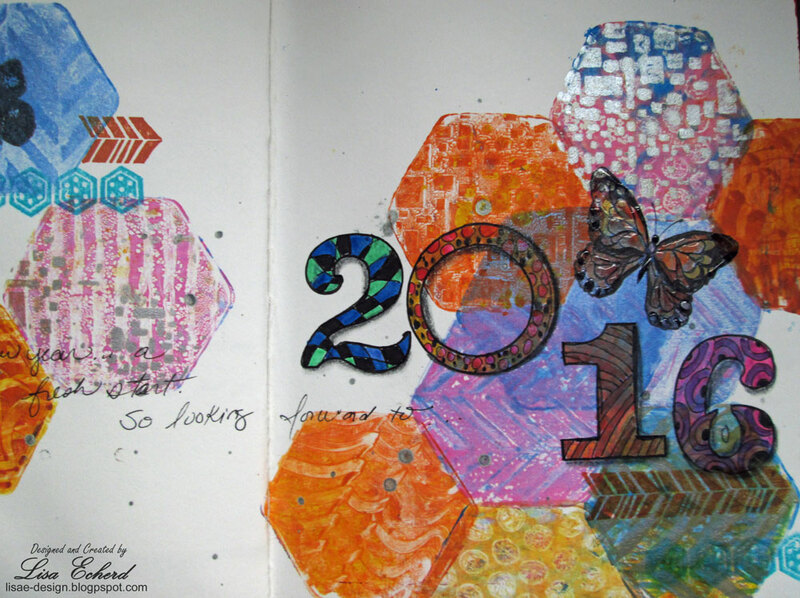 When I post it, I'll share more about my resolutions and objectives for 2016. For now, I have this art journal page using the new Gelli Arts Hexagon mini plate. This was part of my gift to myself this holiday season. I added some metallics in with the other happy paint colors. Thanks for watching. Have you thought about your resolutions and objectives for 2016? This is so cool, Lisa! 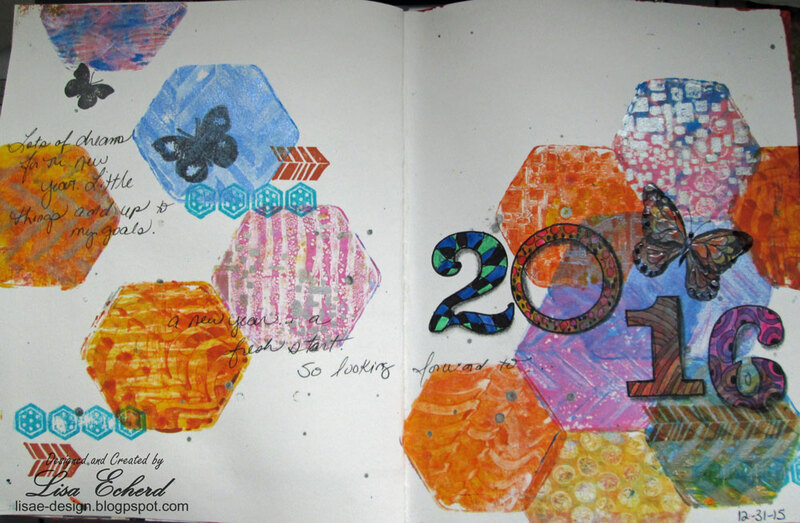 Loving the hexagons. You do amazing things with mixed media. :) Happy New Year! Love the colours and love the shapes! So cool that you got some creative time on Christmas Day! Thanks for showing your other page too - I like the colours you used to express frustration.